I agree. Interest is one of those lazy words we use when nothing more precise occurs — or when our own thoughts are so muddy that precision is difficult. What does ‘winter interest’ mean, after all? It can’t be an attempt to reproduce the colour of summer flowers, or the brilliance of autumn leaves or the heady promise of spring green. 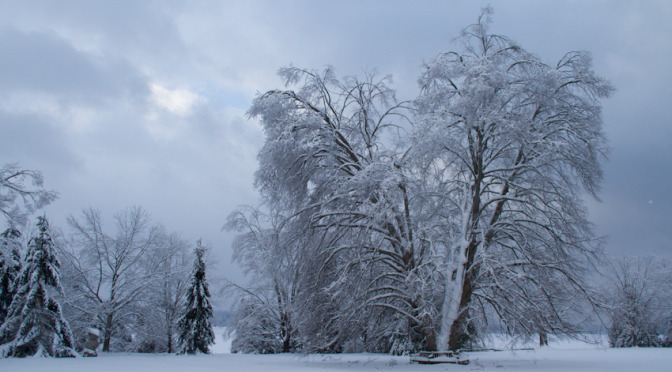 So I ask you: what words can we use to describe the subtle beauty of a winter landscape where colour is limited? 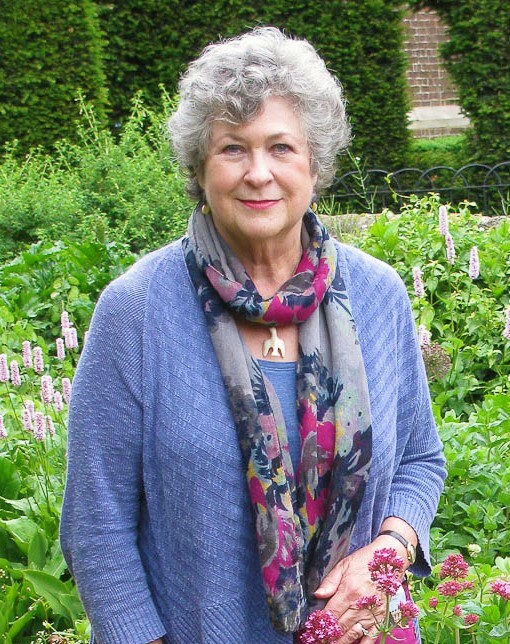 Grey and white are there, along with black and white, dark green and white and, on sunny days, brilliant blue and white. But white predominates. Always. To my eyes, few things can rival its beauty. When the sun shines, and this is frequently the case in my part of the world, sparkling white snow gives off every colour of the rainbow. It hides the dullness beneath: dead grass, untended borders full of matted leaves and mud waiting to appear. Even so, white loses its appeal when it is all you see. 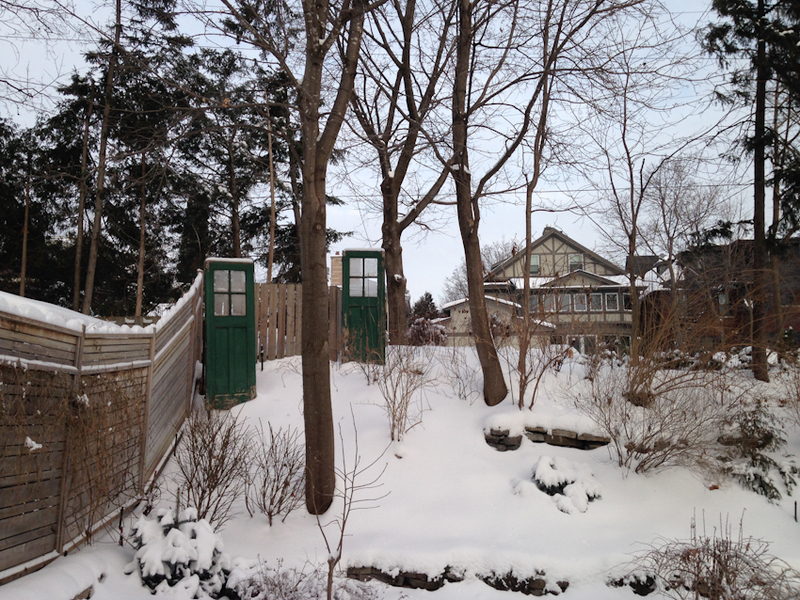 So I particularly liked these green doors positioned on a hillside in a small garden in Ottawa that add colour to an otherwise bland winter view. They bring a note of mystery and intrigue: what might I find if I opened those doors and walked through? As it turns out, these doors were on an old garage that the owners removed. So if I had gone through them in their previous incarnation, I might have found myself next to a Model T Ford. I prefer to imagine a more magical world. Winter lasts a long time in Quebec, and interesting sights in the garden help to ward off visual boredom. 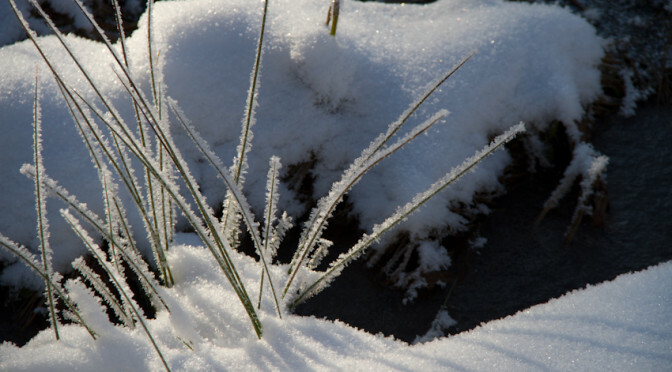 The view from from my kitchen window is a daily delight: boxwood barely poking its head above the snow, the steel plates and square box that add a touch of rusty red, the few sprigs of ornamental grass that move in the wind. Are those deer I see grazing on the hillside? And what about that cat? 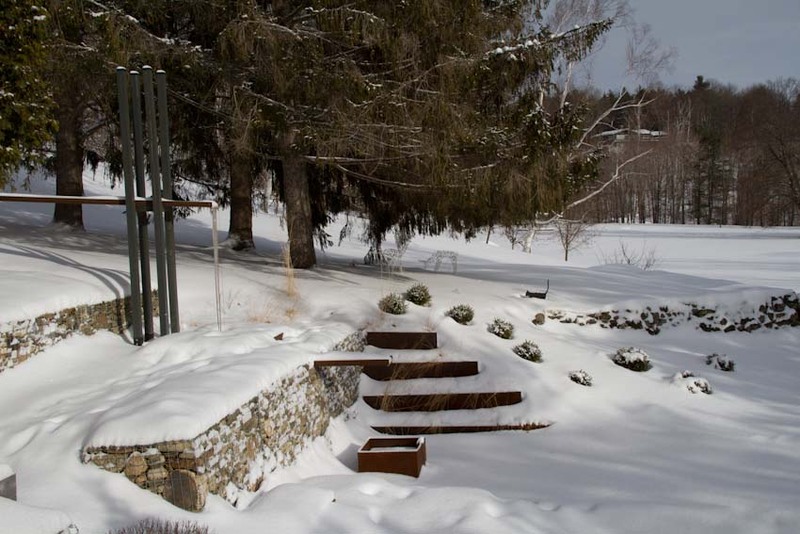 Old stone walls that were the foundation for a summer cottage, removed decades ago, provide a contrast in texture to the new stone walls constructed with gabion baskets. 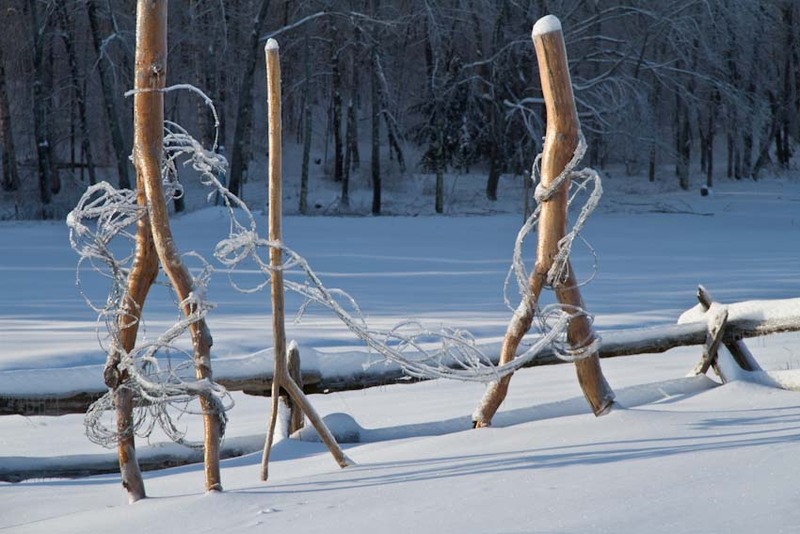 Rising above the snow, both contrast with the flat cover of snow, as do the frozen chains dropping from the wooden uprights. And always there are the deer and the cat that never moves. 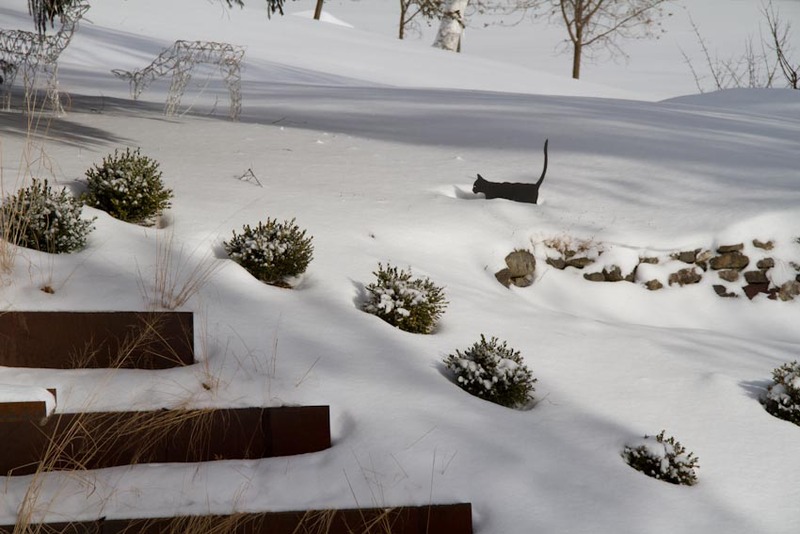 A cat moves slowly through the deep snow, past deer that light up at night. 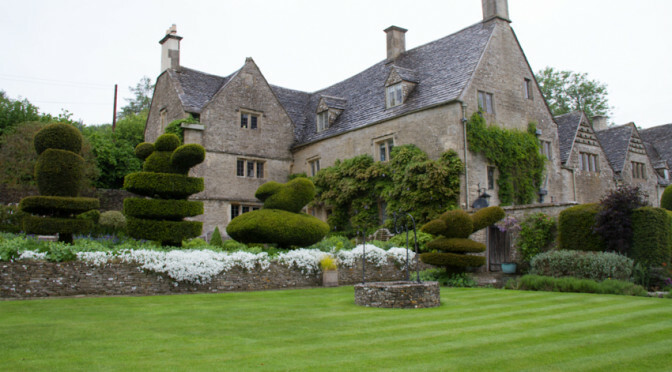 Structural elements stand out in winter, making patterns and shapes more evident. In the meadow, the zigzags of the fence and the design of the green Chinese tile become dominant,leaving the rest of the meadow as background. 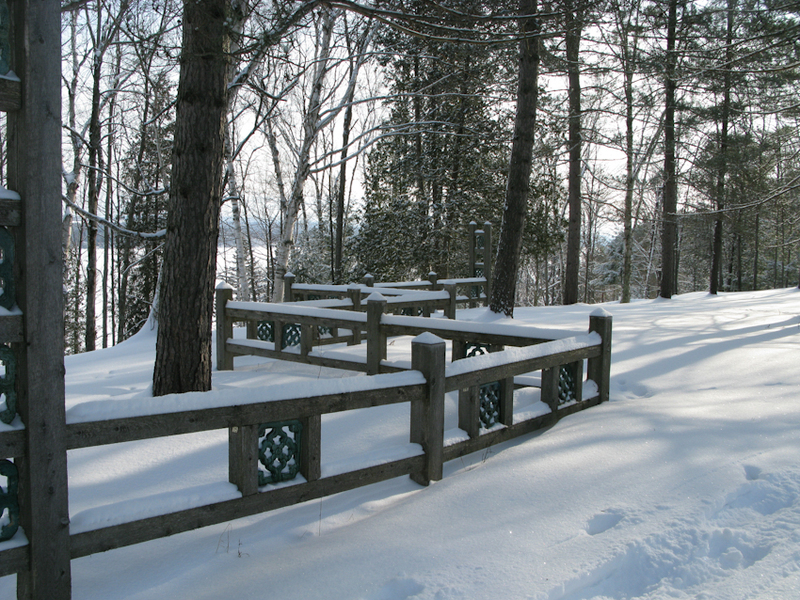 A low fence separates a picnic area from the larger meadow. 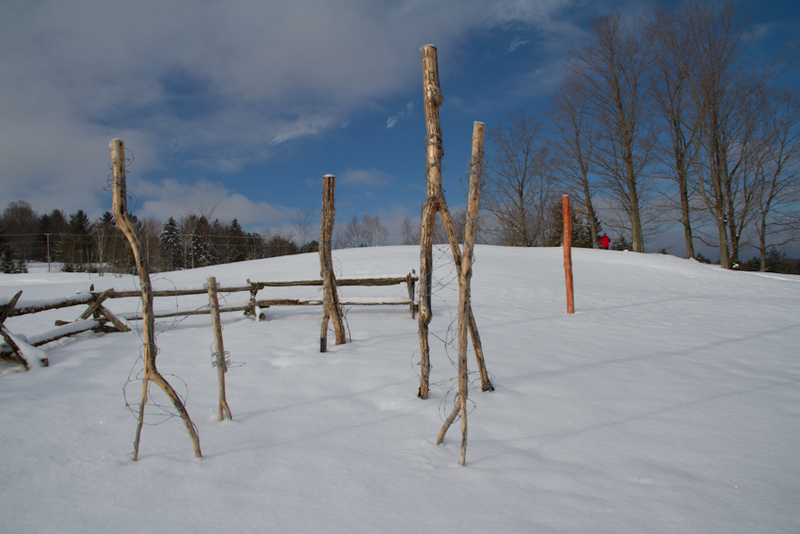 On the hill above the house, the inverted branches that are part of the installation called Abenaki Walking become more forceful when all around them is white…. That touch of red is my husband snowshoeing across the field. and the barbed wire that entangles them sparkles more menacingly when encased in ice. Barbed wire entangles the walking figures, preventing them from moving freely across the land as they did before Europeans arrived. 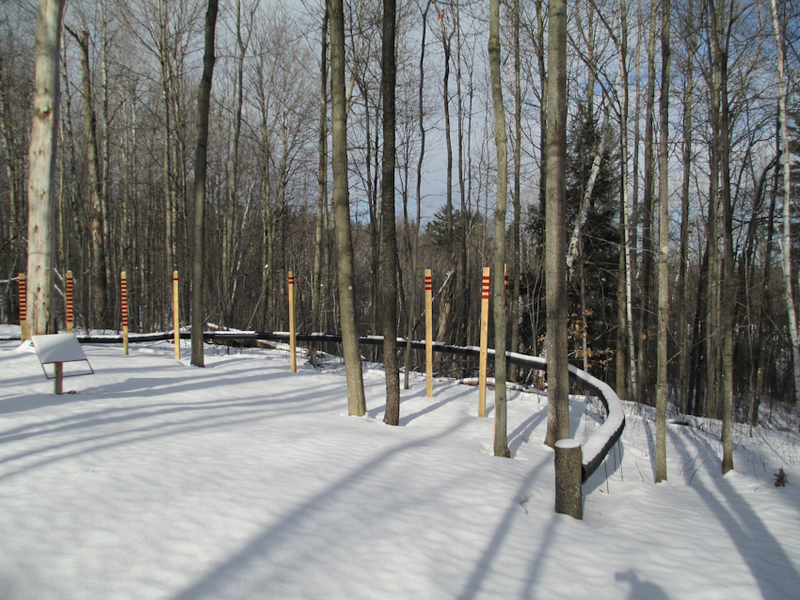 In the woods, the posts that mark the hours at the Sundial Clearing add their own note of mystery. Why are they here? Do they serve some purpose or are they merely arbitrary intrusions in a natural setting? The shadow of a tall dead tree marks the hour, shown by the number of red lines on the upright wooden posts. Almost anything that sticks up above the snow adds ‘winter interest.’ But I’m still searching for the words to describe it.